Store guns in your safe or anywhere with these handy gun racks made in four different widths. 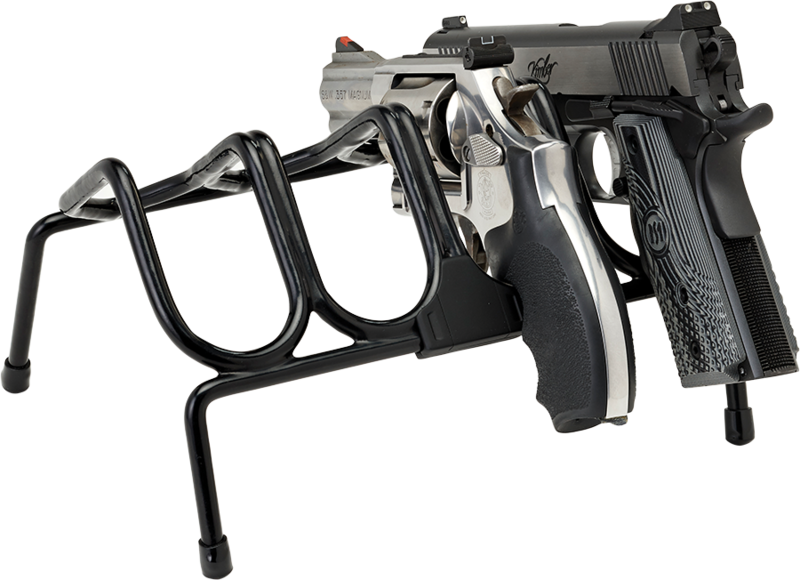 The rack helps maximize storage space while offering a secure and balanced rack designed for compact pistols, full-size handguns, revolvers, and semi-autos. Its PVC coating prevents scratches or marring. Store guns right side up or upside down, depending on your preference. PVC coating won’t scratch or damage handgun’s finish. Free up room in your gun safe or cabinet. Use at the range to hold handguns while not in use.